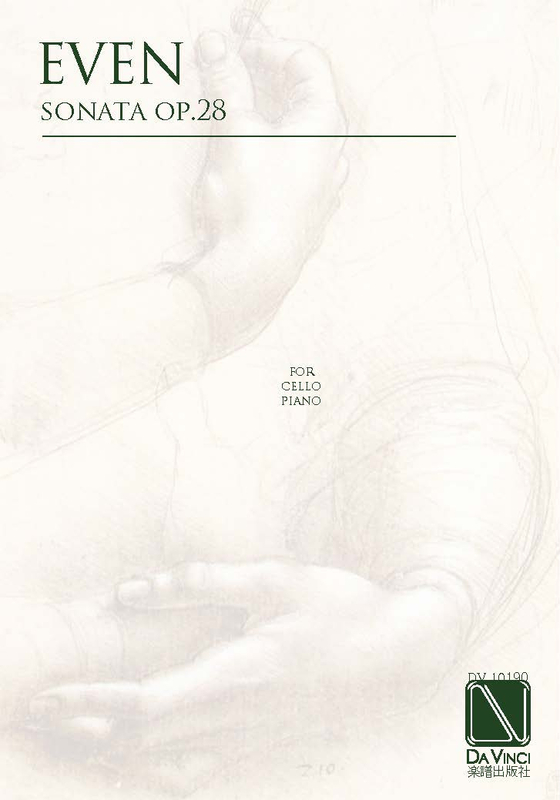 View cart “Marangoni, Gabriele: Drammaturgia I, for Percussion Solo” has been added to your cart. Pierre Even, Luxembourger, born 4 December 1946. Descendant of the Even Family from Beaufort (Luxembourg) and Metz (France). Studied 1959-1966 piano and composition at the Conservatory of Wiesbaden with Karl Wilhelm Bruehl and Heinrich Steuernagel. Studied law, music and history from 1966-1973 at the Universities of Frankfurt, Wuerzburg and Mainz; history of music with Prof. Lothar Hoffmann-Erbrecht, esthetic of music with Prof. Theodor W. Adorno, and sacred music with Prof. Diethard Hellmann. Apart from this, as a composer, he is an autodidact. First Juridical State Diploma in 1973, Great Juridical State Diploma (qualification for judgeship) in 1976. Pierre Even began composing in 1964. His early works for string orchestra, for various ensembles and organ are influenced by the music of Paul Hindemith, the Second Viennese School and Hans-Werner Henze. They were performed between 1966 and 1974 in Germany. During thirty years, Pierre Even then intensified its research and publications include numerous articles and books on the history of Nassau and Luxembourg. After a few creations of chamber and sacred music during this period, he started again composing in 2003. Since then, public performances of his works for orchestra, chamber ensembles, vocals, piano and organ have taken place in in several places in Luxembourg, Germany, France, Belgium, the United States of America and the PR of China, by the Luxembourg Sinfonietta, the Chamber Orchestra of Luxembourg, the Johann-Strauss-Orchestra Wiesbaden, the sopranos Byung-Lyul Lee, Diana Gamet and Patricia Freres, the tenor Donald George, the baritones Frank Günther and Jean Delobel, the pianists Pierre Alzin, Susanne Duch, Kristi Becker, François Germain, Kae Shiraki, Lucy Mauro, Maria Sofianska, Elodie Vignon, Claudine Renou-Fages and Jean-Michel Gourlain, the violinists Hao-Xing Liang, Dora Entcheva-Heinen and Marie-Denise Heinen, and the cellists Stephan Breith and Marie-Jeanne Baudot. His works have also been performed by Sabine Ambos (recorder), Mirjana Petercol (accordion), the members of the orchestra of the State Opera of Wiesbaden, the “Ensemble Metafora” Luxembourg; the string quartet “Quatuor Koch” Luxembourg; the string quartet of the Wiesbaden Music Academy; the brass quartet of the State Opera of Saarbruecken, the clarinet quartet of the Conservatory of Luxembourg, by different ensembles of the Wiesbaden Music Academy, and by several church choirs and organists like Carlo Hommel (Luxembourg), Doris Hagel (Weilburg) and Walter Haacke (Wiesbaden). His recent works, performed in public, include Elegy for piano, Trois tangos for piano, Allegro in C for piano (fragment by W. A. Mozart, completed), Three Birthday-Minute-Waltzes for string quartet, Trio for flute, violin and cello, Trio for violin, cello and piano, “Fanfare Sino-Lux” for brass trio, Sonata for cello and piano, “Neuf caractères” for violin (or cello) and piano, “Consolatio” for two violins, “Cantus Alaudae” for recorder and accordion, “Heimatlos”, six songs after poems by Anise Koltz, “Du bist wie eine Blume”, three songs after poems by Heinrich Heine, “Selige Sehnsucht”, song after a poem by Johann Wolfgang von Goethe, “Agnus Dei para las víctimas del 11 de marzo de 2004 en Madrid” for barytone and organ, “Paraphrase sur le Wilhelmus“ for organ, “Tango para los oídos” for orchestra, “Tango Bravo” for orchestra, “Tarjana-mudra” for chamber orchestra, and about 20 arrangements for orchestra, concert band, different quartets and piano. His first CD with chamber music was released in 2007 by fortepiano, the second CD in 2016 by the Luxembourg Sinfonietta. Pierre Even lives in Wiesbaden (Germany) as a barrister of law and is the director of the Grand-Ducal Archives in Luxembourg. He is married to Heide H. Even.